Rev. 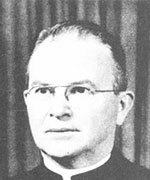 Francis A. Corcoran, CSV, died on March 6, 1959, at St. Mary’s Hospital after a lingering illness. Fr. Corcoran, who was pastor of St. Patrick’s Church in Kankakee for the past 4 1/2 years, died on his 56th birthday. Father Corcoran was born March 6, 1903 in Earlville, IL, son of, Mr. and Mrs. Thomas J. Corcoran. He professed his first vows with the Clerics of St. Viator in 1924 and was ordained to the priesthood May 26, 1934 by the late Bishop James Griffin of Springfield. His first assignment after ordination was assistant pastor of St. Patrick’s Church. He also was a professor at the former St. Viator College in Bourbonnais, for two years. From there he went to Catholic University, Washington, D. C., to get his master’s degrees in mathematics and history. 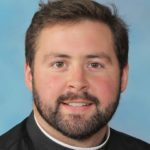 For a number of years following that he taught in various high schools operated by the Clerics of St. Viator, including St. Philip High School in Chicago and Cathedral High School in Springfield. He also served as chaplain in the Army during World War II, and held the rank of captain. The wake was held at Clancy Funeral Home in Kankakee, IL from Saturday afternoon to 2:30 p.m. Sunday when the body taken to the church to lie in state. 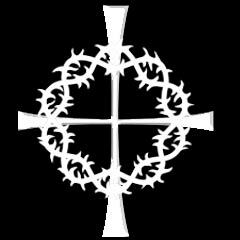 Sunday at 7:30 p.m. in the church the office of the dead prayers were recited. A pontifical requiem high mass was celebrated Monday, March 9, 1959 at 11 a.m. in St. Patrick’s Church by the Most Rev. Martin D. McNamara, bishop of the Joliet diocese. Interment was at Queen of Heaven Cemetery in Hillside, IL. Survivors include his mother, Mrs. Thomas J. Corcoran; sister, Mrs. Marie Fitzgerald; brothers, Thomas, William, Patrick, John, and Enos.